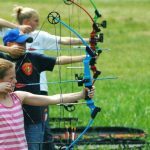 When it is time to select the correct arrows (or bolts) for your crossbow, it can be challenging if you are unsure of some of the basic principles behind your equipment, how you want to use your bow, the bow’s setup and what you will most likely be hunting. Thankfully most if not all crossbow manufacturers provide specific instructions as to which arrows are the most appropriate for your bow. As is true with any hunting tool, be it a bow, knife or gun. 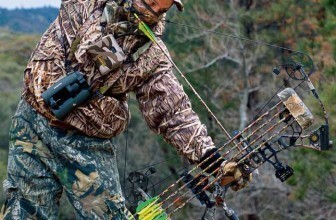 Your crossbow will need to have the appropriate accessories and items to ensure that it is functioning to its fullest capacity and performance. Your bolts are undoubtedly one of the most important crossbow accessories in this case. 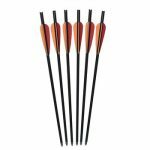 When it comes to hunting game, it is important to choose the arrows that will hit hard, fly with accuracy and do the job right on the first shot. 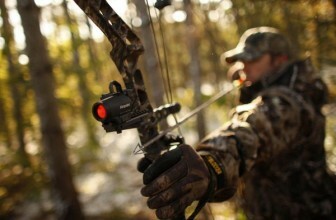 What is the Difference between a Crossbow Arrow and a Crossbow Bolt? Some archers refer to the projectiles they fire with their crossbow as “bolts” while others call them “arrows”. Both of these terms are correct as far as archery is concerned. The term “bolt” cannot be used concerning regular bows as it is crossbow specific. 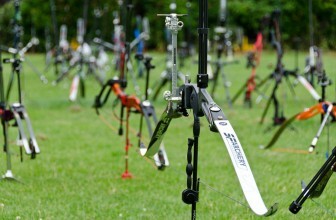 It is not a difficult task to choose the correct arrows for your crossbow. 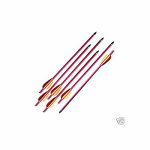 Before you go purchase arrows for your bow it is important to understand that your bow has specific requirements. You will need to assess the draw weight, brand and power stroke. More often than not the manufacturer of your crossbow will provide you with the recommended specifications for the arrows you should be using. Use this as your base reference. 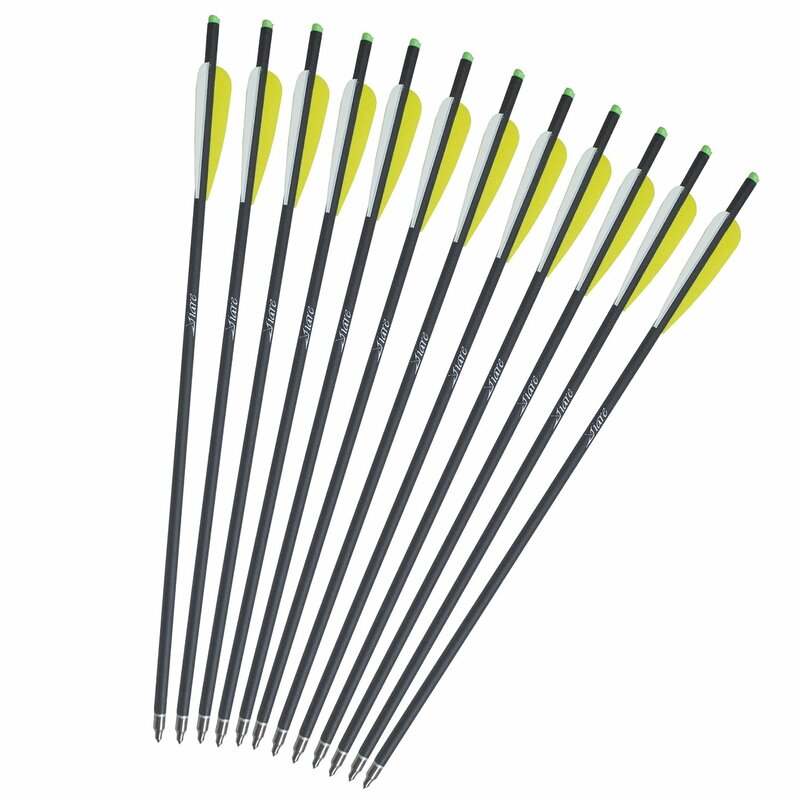 In general, crossbow bolts are made from carbon or aluminum. Both of these materials offer the shooter a fast and consistent shot. The consequence of using an improper bolt with your crossbow is that you can cause harm to both the equipment as well as the wielder if a limb, string or another component failures. When you shoot an underweight arrow you end up putting your bow and its components under a considerable amount of stress. This activity can also void your factory warranty. Even though shooting a lighter bolt than recommended may seem like a good idea for speed, remember that faster is not always superior. When you shoot your heavier bolts, achieving a more moderate speed, you will find that your overall control and broadhead flight are superior. The proper bolts will also prolong the life of your cables and string. These bolts by Barnett are economically priced and hold a respectable 4.7-star rating on Amazon. Customer complaints were few and far between, although some displeased buyers indicated that they received the wrong size and that shipping delays were unfavorable. 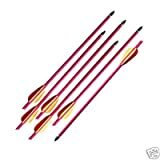 The majority of buyers have nothing but praise for these arrows. Customers are happy with the overall design, accuracy and cost-effective pricing. Many customers boast that these are a superior brand that stands up to the test of time and usage. Because they are made of aluminum, many customers do not expect them to outlast carbon counterparts. 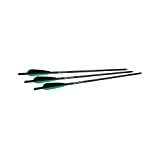 It has been mentioned that during target practice if one arrow hits another they will cause damage. 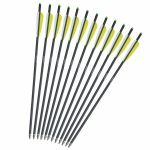 This 24 pack of carbon crossbow bolts has earned nothing but 5.0-star ratings through Amazon.com. The bolts are designed for maximum target penetration and accuracy. They are lightweight and strong with improvements made to wall thickness in order to increase durability. 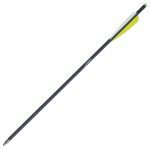 It is easy to attach broadheads with the arrow’s removable tip making these arrows ideal for target practice or hunting. Every single Amazon customer who has taken the time to review this product has given it a perfect 5.0 stars. In these ratings, there are no complaints what so ever. The buyers are incredibly satisfied with the price, ease of use, accuracy, ease of shooting and tight shot groups. Other customers indicated that they were unable to see or feel any difference in quality or precision when comparing these bolts to more expensive varieties. 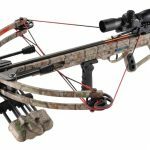 Tacxtactical.com expert give you most important factor to consider when purchasing crossbow arrows is to know the manufacturer recommendations for your model of the crossbow. Using a bolt that is not meant for your crossbow can damage your equipment or worse, yourself. The other most important factor is durability, understand which types of materials should be used when your bolts are fabricated. If you keep these simple facts in mind you should have no problems choosing a bolt that meets your needs.